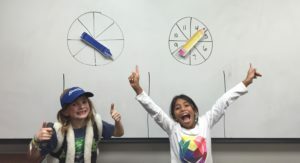 Do you have cute kiddos trying to learn the distinction between b and d? It’s tricky and it’s common for children to mix them up for a while. For this reason, I created two fun little phrases to try and help them clear up the confusion early. Alright, here are the b and d phrases! Now here’s how to teach them! 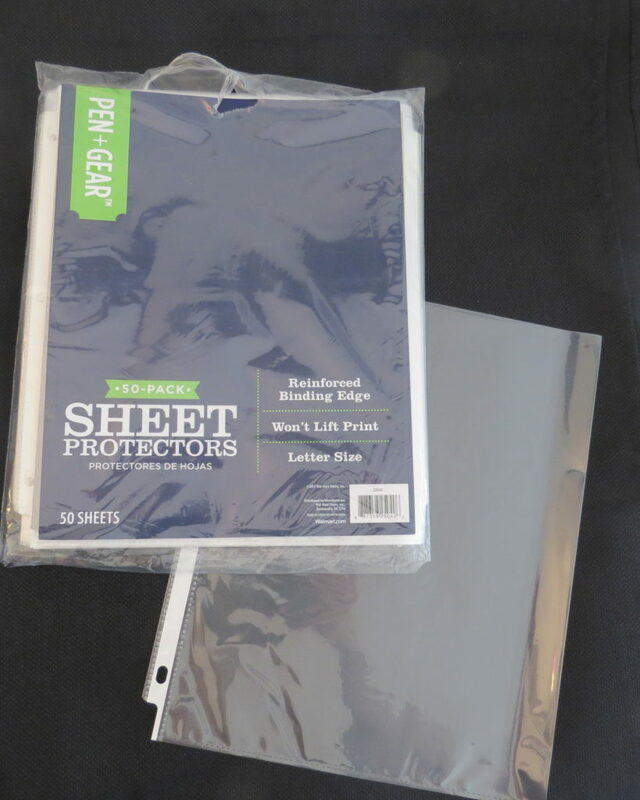 Place it in a plastic page protector*. 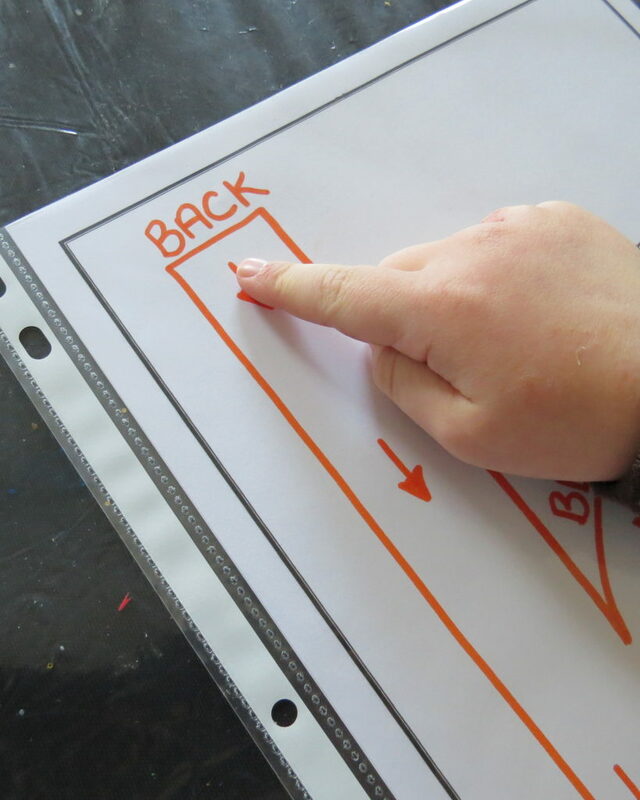 Have your child trace the strokes with a finger. 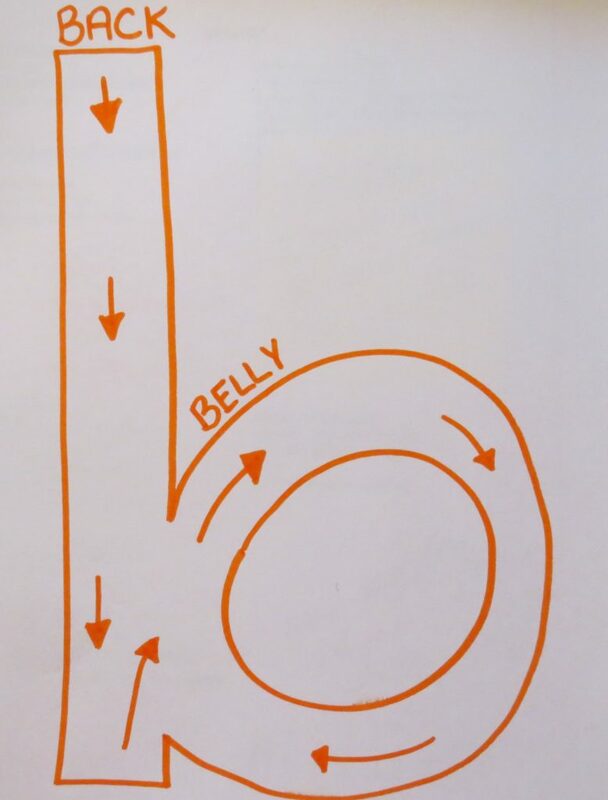 They first draw down for the back, then up and around clockwise for the belly. 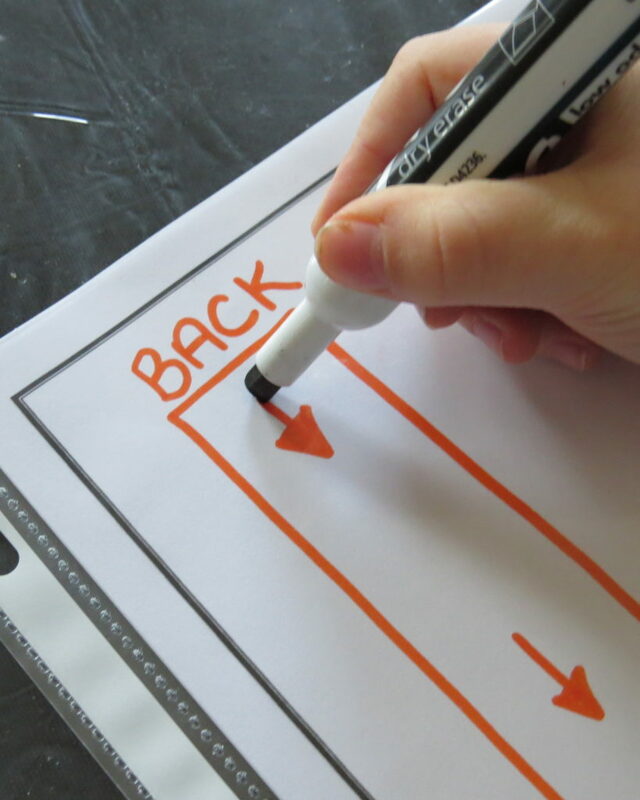 Have your child trace the strokes with a dry erase marker. It erases easily. Your child can practice it many times. 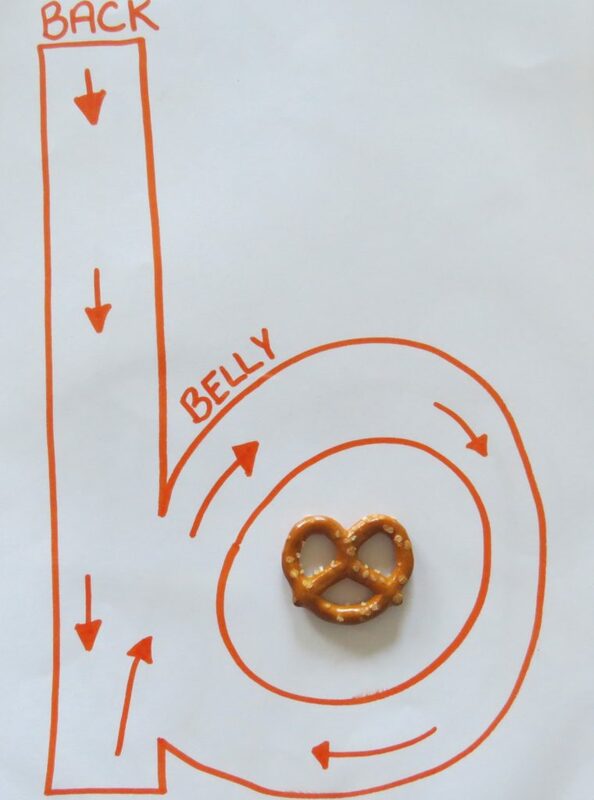 Next, have your child complete the BACK BELLY-b week long challenge! 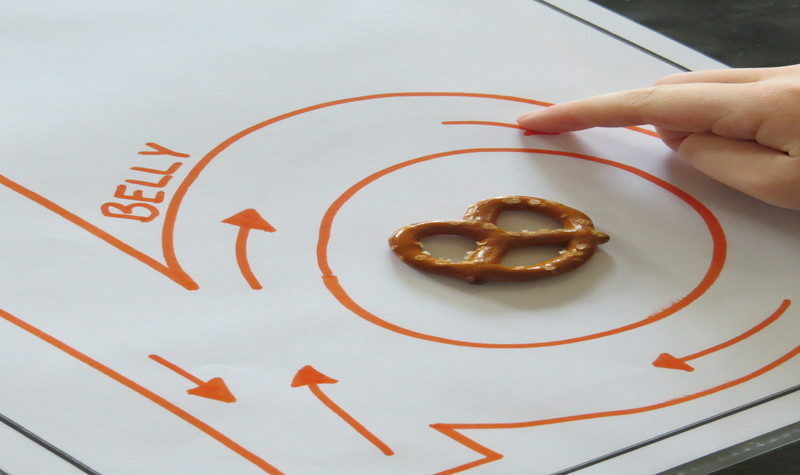 For 5 days straight, during snack time, have your child or students place a bite of snack in the belly of the b. 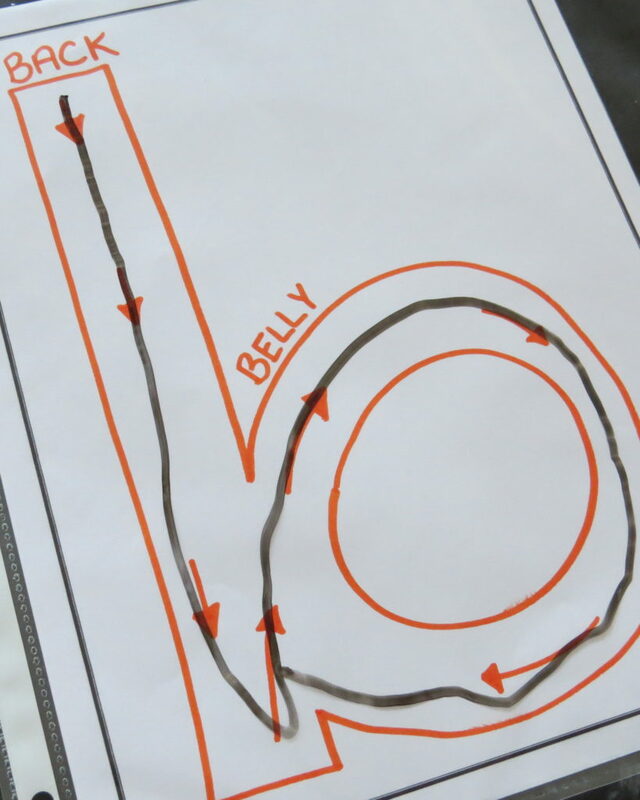 Then, they trace the back, the belly and say b! Have them do that for each bite of their snack each day for 5 days! I have a good feeling that this exercise will help them remember what a lower case b looks like! I suggest teaching a handful of letters between the b and d. Give time for the child to practice b with many other letters. 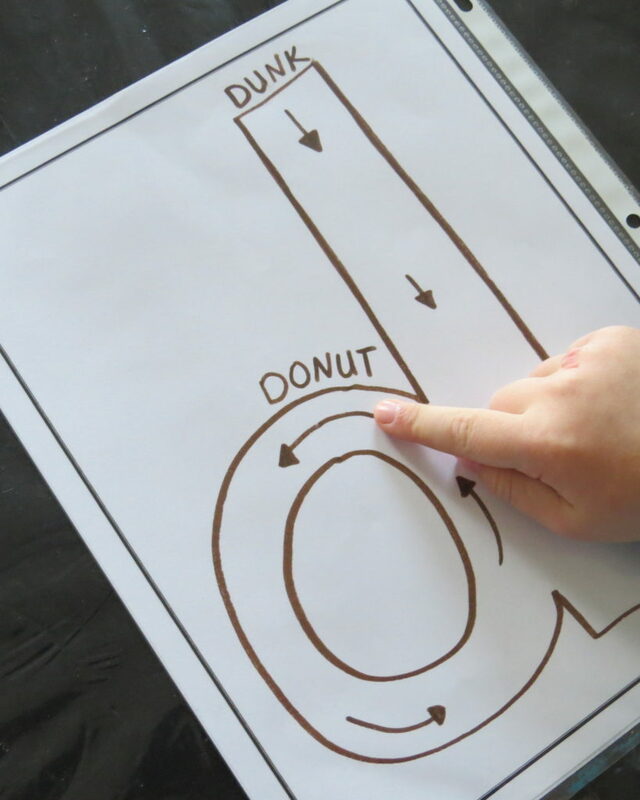 For example, they might write the words ball (bl), balloon-(bln), big, bat….introduce them to words that don’t have the letter d.
Have your child trace the strokes with a finger. 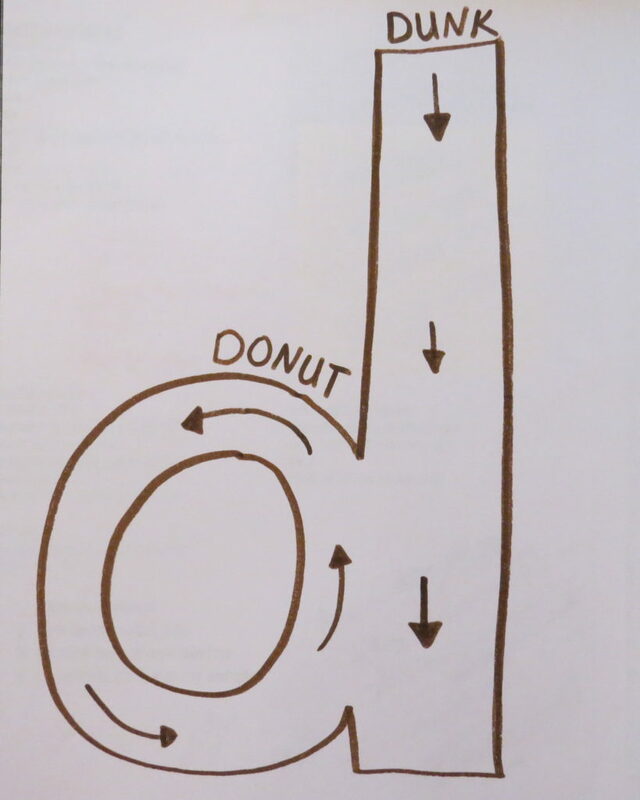 They first write a counterclockwise donut, then down with the dunk! 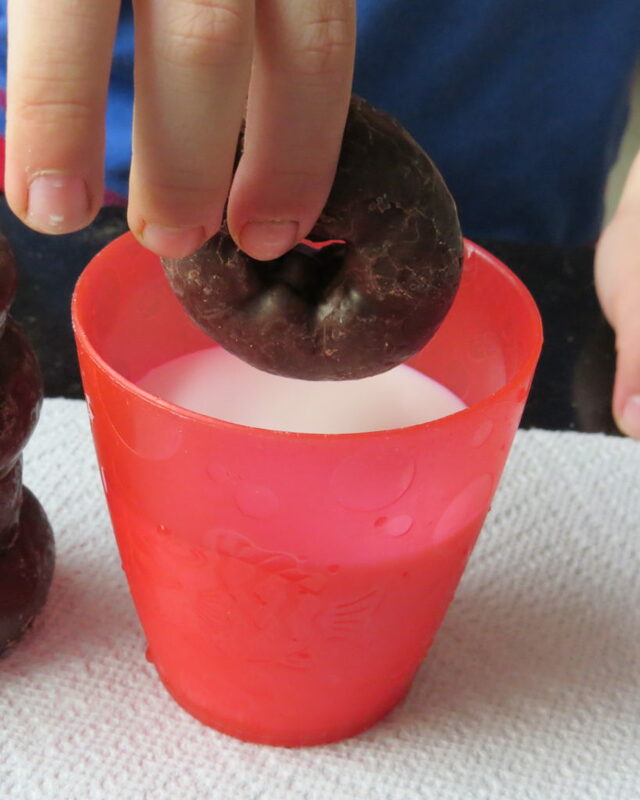 Next, have your child complete the “DONUT-DUNK-d” week long challenge! 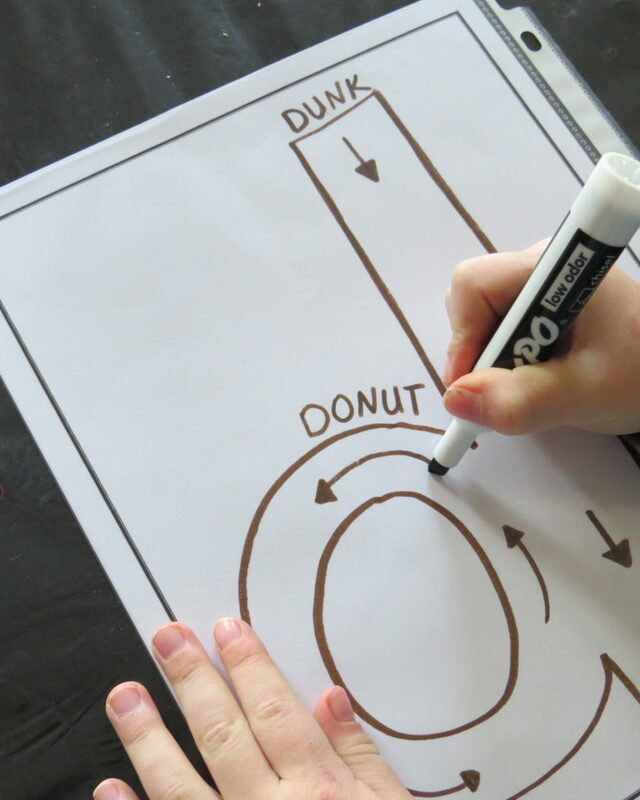 For 5 days straight, have your child or students draw one dozen donut-dunk-d’s. My son likes to write his letters small. They don’t have to be. 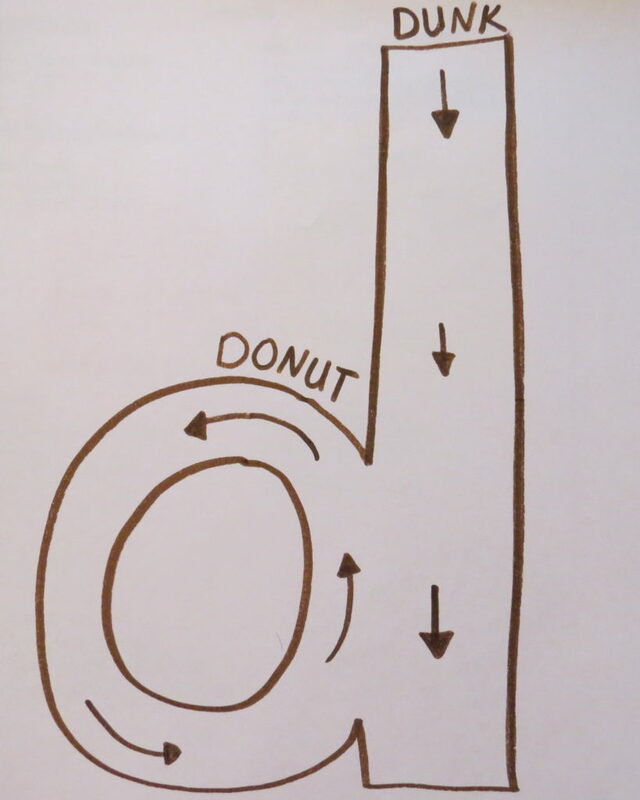 It doesn’t matter the size, just as long as the child is writing the circle first (the donut), then the stick (the dunk). 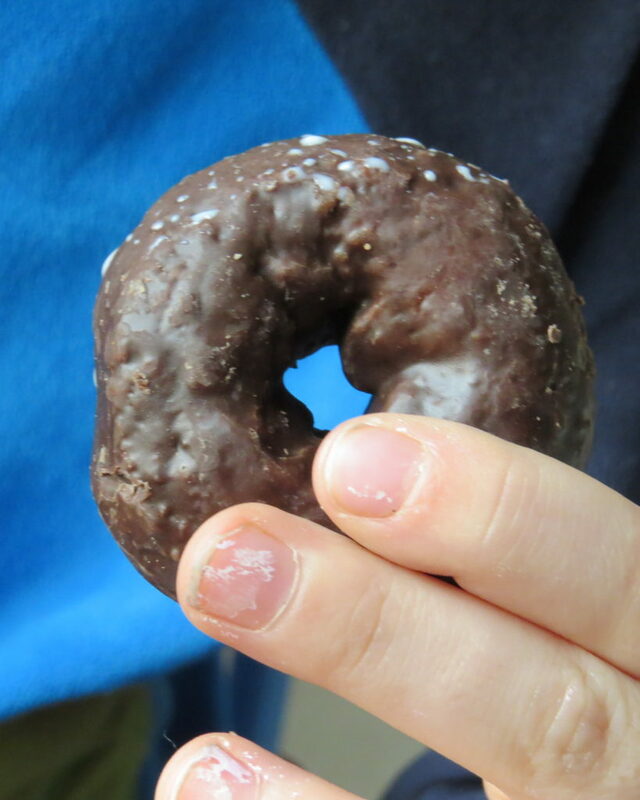 On the 5th day, celebrate with a donut dunk treat! 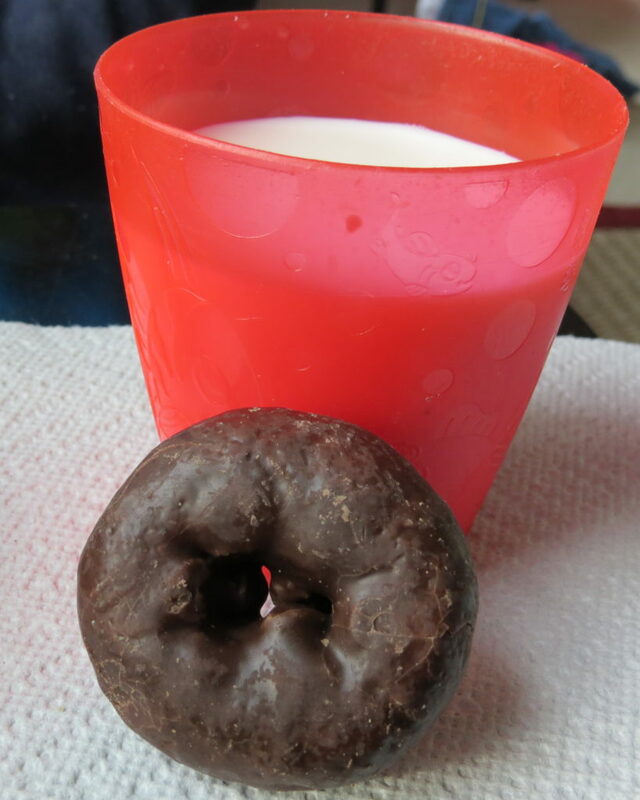 Treat your child or students to a donut and a cup of milk (or non-dairy milk for those who are lactose intolerant). 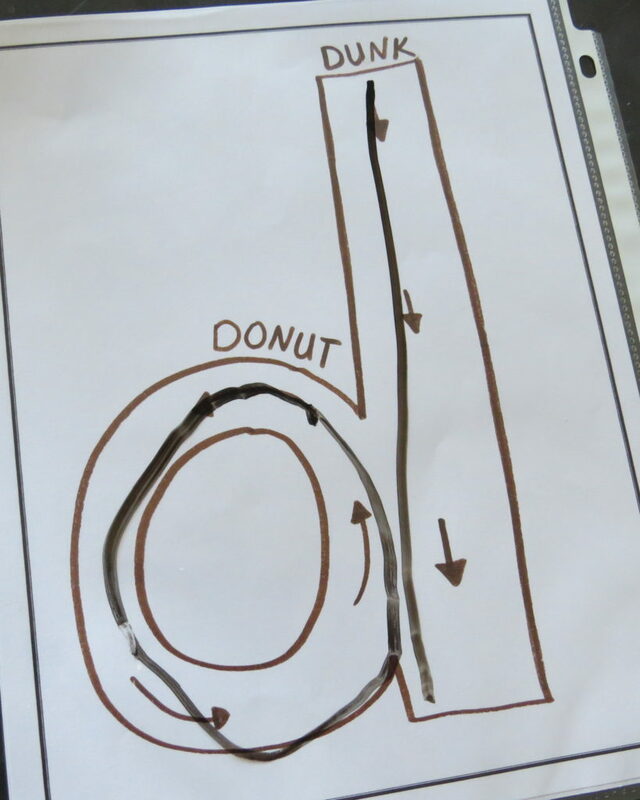 I have a good feeling that this exercise will help them remember what a lower case d look like!